Whether you are visiting the Middle East to make the most out of Dubai Holidays, accidents or emergencies may occur during your stay, therefore it is always best to stay alert. We are not here to scare you, but to educate you about the emergency contact numbers in the city, just in case you need them. Calls to these numbers are free of cost. When calling any of the numbers, make sure that you remain calm and composed. Speak patiently and clearly, so that the authorities hear you out and come to your assistance without any delay. Remember to say your name, address, your phone number and nature of accident or emergency as well as the seriousness of it. Also, remember to provide your mobile number to the operator on the other end. If you or your family member or friend is taken ill suddenly, visit the nearest hospital without any delay. Ideally take the help of your relatives or friends staying in Dubai if you have any. Stay updated about the local hospital numbers and healthcare centres close to your hotel or place of stay. When you call ambulance services, you should briefly explain the severity of the situation. If the patient is serious, ask for medical help in the ambulance itself. 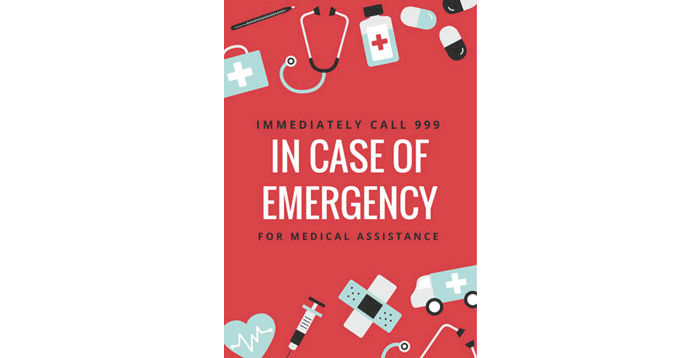 You can call 999 for a government ambulance or the police numbers in Dubai for any criminal activity and cases of harassment. If a patient cannot move because of the seriousness of a situation, feel free to call 800-362867 for the assistance of a private medical professional or paramedic at your place of stay, hotel, or guesthouse. 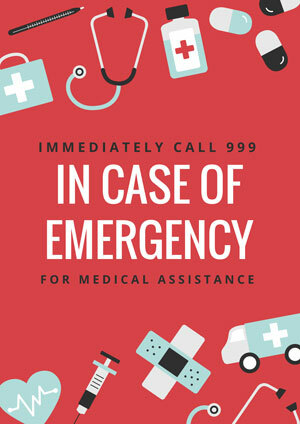 Once you reach the hospital, visit the emergency division immediately. Ensure that you know which hospitals and medical facilities come under your medical insurance. If alone, get in touch with your friends or associates for immediate help. Enjoy a happy and pleasant stay in the city, especially during the Dubai Holidays. In case of an emergency, keep the above numbers handy.